Located on a private 500 acre farm with stunning views of the Tararua Range. RivenRock MTB has a network of trails to suit riders of all styles and ability with beginner, intermediate and advanced tracks. 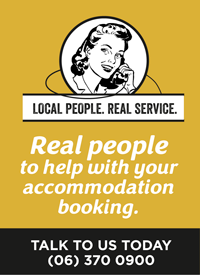 RivenRock is just 15 minutes from Masterton and Carterton just before the Mount Holdsworth campsite. 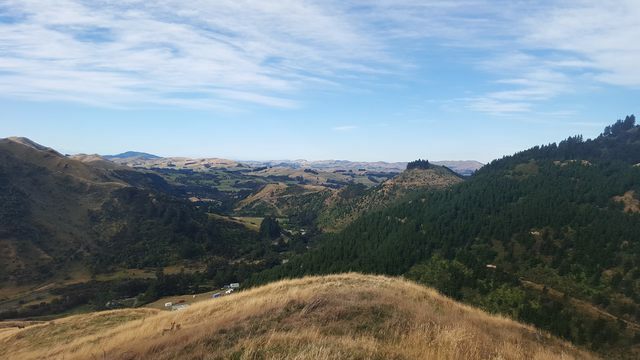 The park's special topography, great location and incredible views from the tracks back over Masterton and Tararua Ranges make RivenRock a must do. 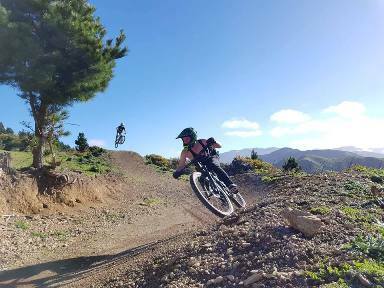 The bike park currently has 15 km of cycling tracks incorporating new purpose built tracks with pump flow and single track, downhill and jump tracks with more trails coming. See the trails here. There is a shuttle service available which takes you and yourbike from the main gate to the top of the park. Riders can purchase a 10-trip pass for the shuttle service or pay per ride. Eftpos is available. Wyn Masters and Cam Cole, two of New Zealand's top riders think RivenRock has the potential to be the best in NZ. How to get to Rivenrock if you're in the Wairarapa? 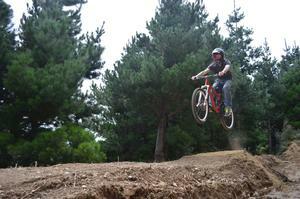 RivenRock Mountain Bike Park is located just 15 minutes out of Masterton and Carterton. Head out towards the Tararua Ranges and Mt Holdsworth campground on Norfolk Rd. Just before you reach the Mt Holdsworth campground the entrance to RivenRock is on the left hand side. How to get to Rivenrock from Wellington? By train: bring your bike and catch the Wairarapa – Masterton train check out the train timetable. Get off the train at Carterton Railway Station and follow the roads: Wheatstone, left into Belvedere Road, right into Cobden Rd, right into Haringa Road, right into Mangateretere, left into chester Road and left onto Norfolk Road then left onto Mount Holdsworth Road. This is a 22.9km ride. Wednesday – 12 noon till dusk (shuttle running from 4pm) Saturday – 9:30am – 4:30pm Sunday – 9:30am – 4:30pm Open for group bookings of 10 or more people and to clubs and schools for prearranged bookings for the Mountain park.